My shop original single speed frame named “PISTOL”. 1” ITA A-head Head tube. 120mm rear spacing and Seat stays with a tight squeezed design. Bullet shaped seat stay clusters and the front triangle with slender tubes. 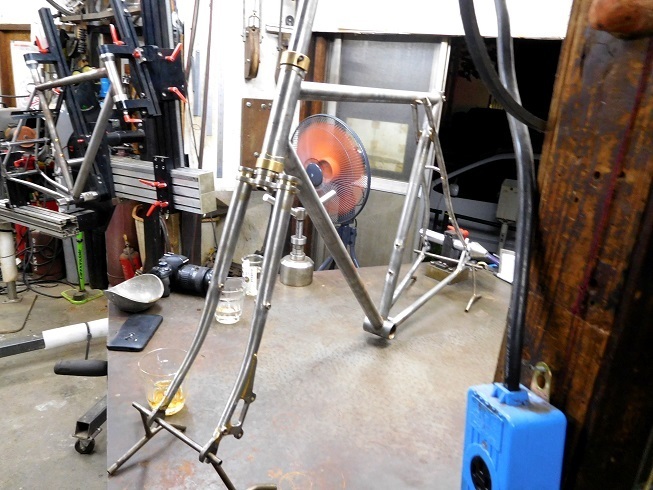 All frames were built according to my philosophy of bicycles. And this is also a homage to my friend,Sunrise cycles. Use with φ160mm disc rotors. With 68mmBB hanger , For φ27.2mm Seat posts. I can accept payment method by PayPal. I can ship to outside of Japan by EMS.